Kick off your visit on the 13th (Sat): stop by Your Piece Of Finland, get engrossed in the history at Arktikum, then take in the architecture and atmosphere at Rovaniemi Church, then explore the different monuments and memorials at German Soldier s Cemetery, and finally see exotic creatures in open habitats at a safari tour. Keep things going the next day: browse the different shops at Arctic Circle Mall, explore the fascinating underground world of Syvasenvaara Fell, then examine the collection at Christmas House Santa, then see Santa Claus Office, and finally get in on the family fun at Santa Claus Village. 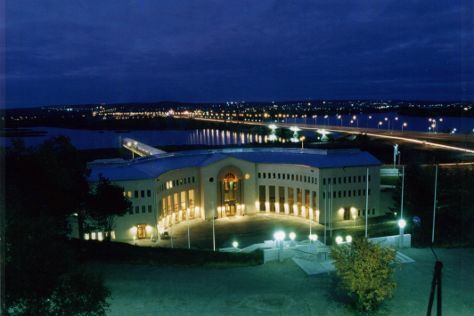 For other places to visit, more things to do, reviews, and tourist information, read Rovaniemi journey site . In April, plan for daily highs up to 38°F, and evening lows to 26°F. Finish your sightseeing early on the 14th (Sun) so you can travel back home.